You know those people whose lives are like far-fetched movies, the ones who seem to attract drama and lurch from one unlikely event to another? Well, you’ll find few better examples than a certain Mr Charles Wells. Famous for breaking the bank at the Monte Carlo Casino, way back in 1891, his life was rather ‘interesting’ to say the least! Born in Hertfordshire, England, in 1841, his family moved to France when he was just a few weeks old. 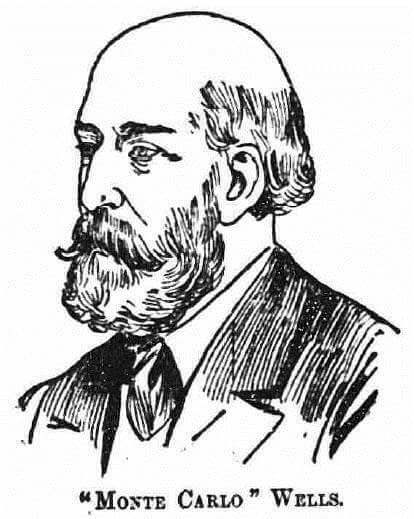 Wells started his rather colourful career as an engineer at shipyards in Marseille during the 1860s, but he also seems to have worked at a sugar beet processing plant in the Ukraine, and at a lead mine in Spain, just for variety. After making a small fortune, in a rare moment of honesty, with the patent for a device that regulated the speed of ships’ propellers, Wells moved to Paris in 1879. That’s where he really started getting into mischief. Wells somehow managed to persuade a significant number of gullible rich Parisians to invest in a non-existent railway construction project in the Pas-de-Calais. He was duly convicted by a French court, but had already fled to Britain with his ill-gotten money. Instead of laying low, Wells just couldn’t help himself, and started courting investment in his latest inventions. Of course, none of the inventions actually existed, but he must have been a persuasive fellow because one investor alone lost the equivalent to almost £2 million in today’s money! To the Casino Old Chap! In 1891 Wells visited the Monte Carlo Casino several times. With an initial stake of £4,000 (a lot of money back then), he won roughly £60,000, or about £6 million in today’s money, breaking the bank several times. ‘Breaking the bank’ meant winning more than the 100,000 francs – known as ‘the bank’ – that was allocated to each gaming table at the start of the day. What did Wells do with the money? He purchased a ship and, after converting it into a late-Victorian superyacht, he named it Palais Royal. Despite several return trips to Monte Carlo he never managed to repeat his success of 1891. 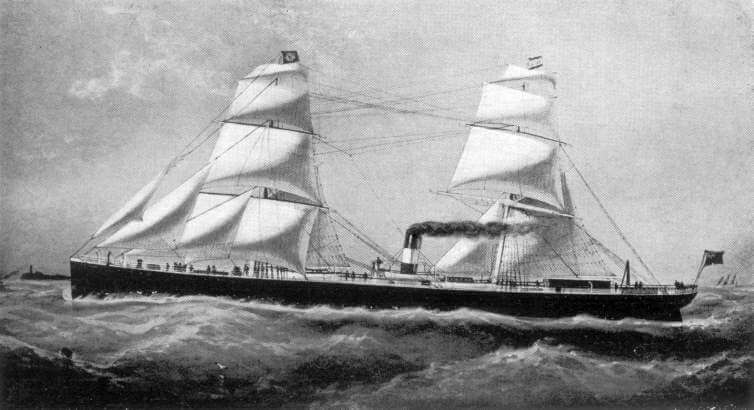 He didn’t get to enjoy his ship for very long though, because in 1892 he was arrested, whilst on board, and extradited to Britain to face charges regarding his fraudulent investment schemes. After a lengthy eight year prison stretch he served another shorter sentence in Britain and two more in France, all relating to fraud. By that point you’d have thought that Mr Wells would have learned his lessons and gone straight, but no, of course not. The irrepressible swindler once more returned to Paris, this time setting up the world’s first large scale ‘Ponzi’ scheme (ahead of the infamous Charles Ponzi, after whom such frauds are now named, by a decade). Establishing a private bank, under the alias of ‘Lucien Rivier’, he promised investors ridiculously high returns, and used new depositors’ money to pay existing ones. The fraud was insanely successful, and grew fast enough for him to keep it up for a while, before the authorities cottoned on, and he once more fled to Britain, where, he was arrested again in January 1912. The exact date of the demise of the illustrious Mr Wells is a point of argument, but many think it was 1922. So what does history make of Wells? 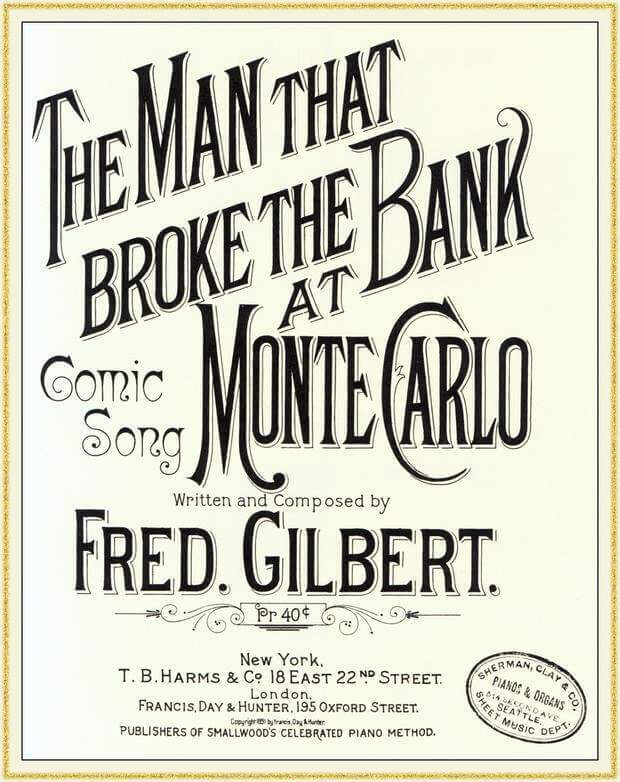 He gambling exploits were made famous in a popular late 19th century song, Fred Gilbert’s ‘The Man Who Broke the Bank at Monte Carlo’, a 1935 film and a 1983 book, both by the same name, and they have inspired theatrical productions and numerous other books and films. But the big mystery remains. Did Wells really use the ‘infallible system’ he claimed to have devised, for his big wins at Monte Carlo, or was he just insanely lucky? Nefarious as he was, he was obviously a highly intelligent man, as evidenced by his genuine invention, and the fact that he managed to trick so many wealthy, and otherwise astute, people during his long career of fraud. What do you make of Mr Wells, and is his ‘infallible system’ real and written down somewhere? Either way, surely this story is deserving of a big-budget mini-series?